Late last week Forbes posted an interview with Titanfall 2 lead writer Jesse Stern, revealing the broad direction of the upcoming Titanfall 2’s narrative, in addition to at least tentative plans of TV spinoff. Here are the details. The Forbes article in question, linked below, came to my attention prior to yesterday’s news roundup, but Forbes being the navigational hell that it is, I ended up losing my place and forgetting about it entirely until today! According to the report, Respawn Entertainment began full development on Titanfall 2 in late 2014, following six months of developing the original’s post-release content. 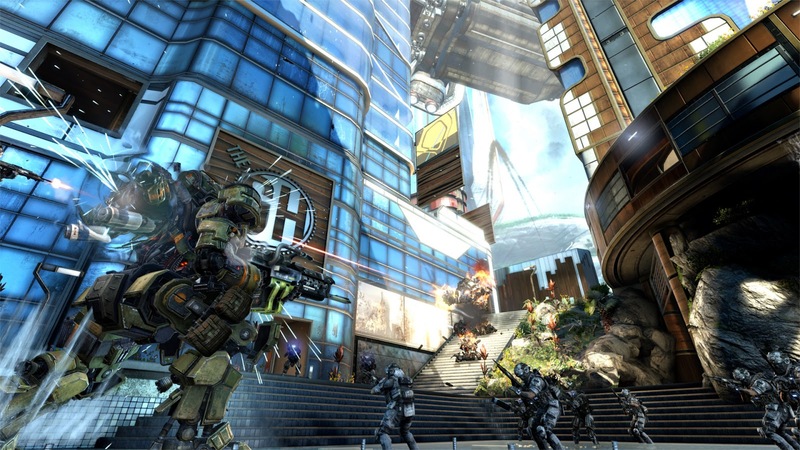 The original Titanfall notched up an individual user count of 10 million, not only guaranteeing a sequel, but spurring the inclusion of a more traditional single-player campaign. The original featured a multiplayer campaign; effectively bot matches, fought alongside other players, on the multiplayer maps with some extra radio chatter thrown in for effect. Interviewee lead writer Jesse Stern confirmed that Titanfall 2 expected to be completed, “Sometime late this year or early next”. This in line with publisher EA’s previous financial statements that a new Titanfall “experience” will launch in the coming fiscal year, between April 1st 2016 and March 31st 2017. “So we are doing our best to deliver a vision of grand global colonial warfare retelling the story of the American Revolution and the American Civil War in space. We imagined the next generation of immigrants moving out to the new frontier of an inhabitable planet. Rather than taking a traditional sci-fi approach to that we wanted to look at how that would happen practically, what the ships would look like and with machines that were designed for excavation and construction , demolition and working the land, and what happens when they are turned into instruments of war. Stern’s previous work includes the Call of Duty: Modern Warfare games (the original and its sequel), in addition to the TV show NCIS. To that end he shed a little light on the potential breadth of Titanfall’s future, revealing that the studio is at least investigating the possibility of an animated TV series in a partnership with Lionsgate TV. Respawn CEO Vince Zampella has in the past discussed plans to expand the Titanfall franchise beyond the core console space; with the studio Particle City dedicated to mobile development, partially funded by Nexon, with Nexon also developing a free-to-play PC game.